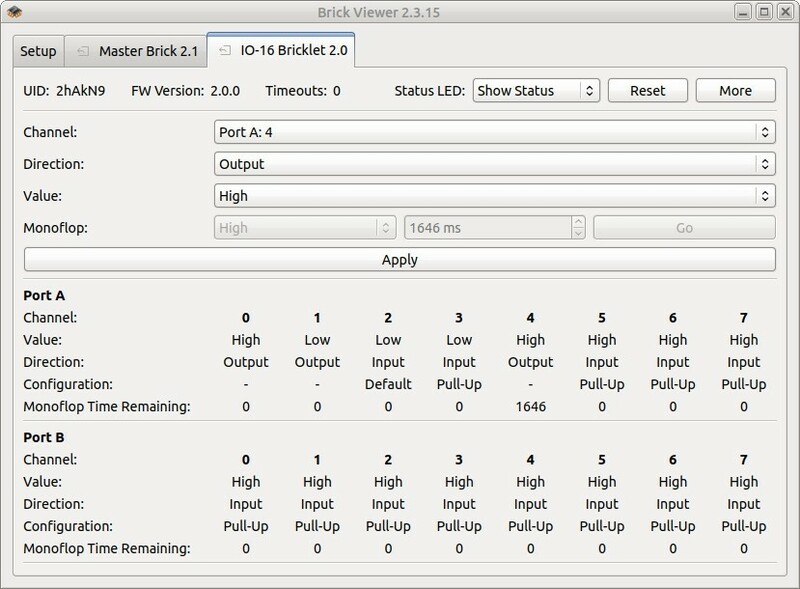 The IO-16 Bricklet 2.0 can be used to extend the features of Bricks by external digital inputs and outputs. 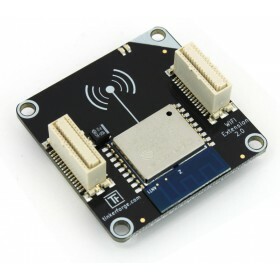 The Bricklet features 2x 8 I/O channels that can be independently configured as digital inputs or outputs. 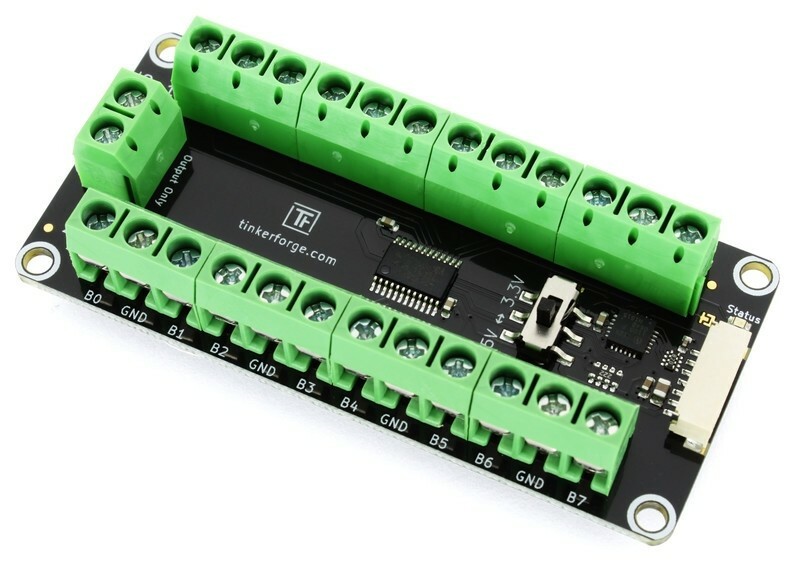 Each input channel can additionally be configured with a pull-up or as interrupt source. 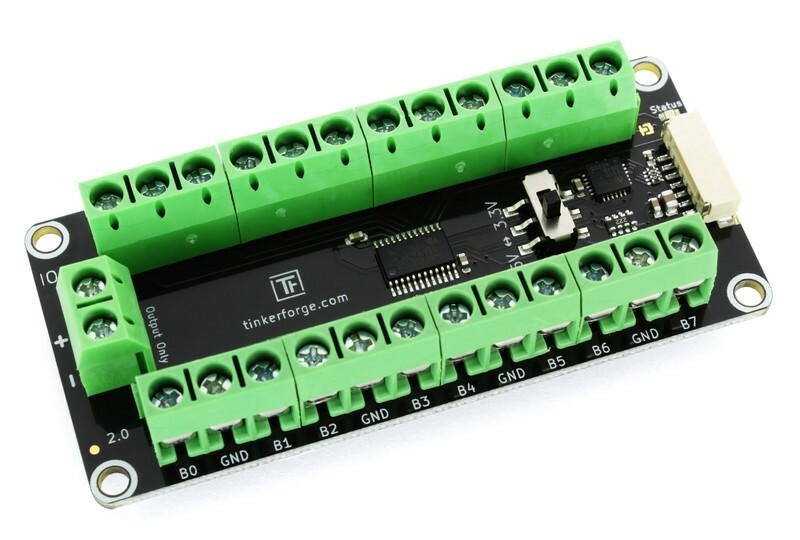 The input/output voltages can be switched manually between 3.3V and 5V*. Via terminal blocks all signals and GND can be accessed. 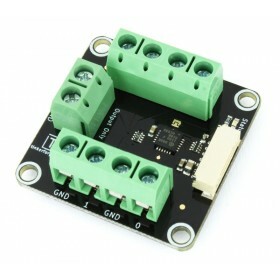 An additional terminal block delivers the switched output voltage. 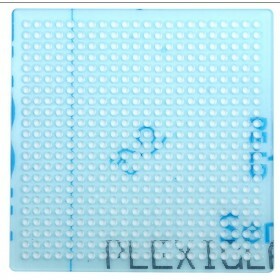 Human interfaces, such as switches, push-buttons and LEDs are typical applications of this Bricklet. 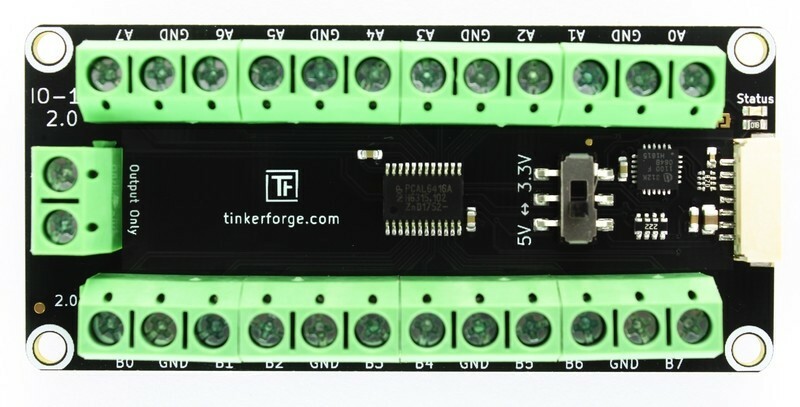 The IO-16 Bricklet 2.0 has a 7 pole Bricklet connector and is connected to a Brick with a 7p-10p Bricklet cable. * The maximum output voltage depends on supply voltage. 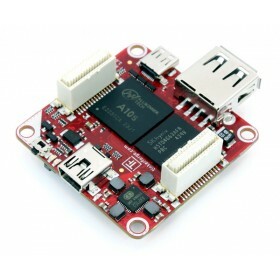 If the connected Brick is powered over USB, 5V may not be reached. 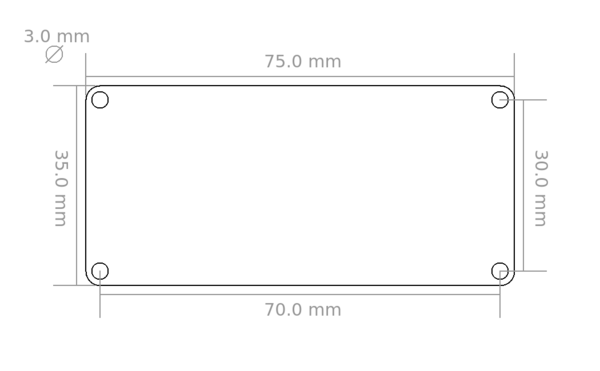 The reason for this is a voltage drop about 0.5V caused by protection diodes on our products. If you need to reach 5V, you have to use a stack supply, e.g. 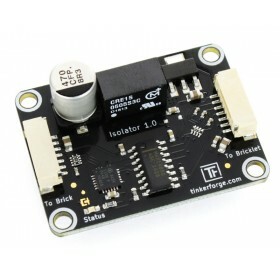 the Step-Down Power Supply.